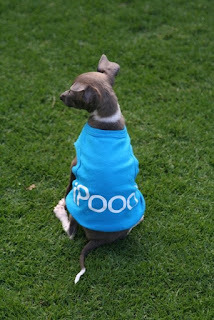 OK, I intended to share with you why the breed "Italian Greyhound" works for me. But my eyes are falling - so sleepy. So I am turning this into a "Wordless Wednesday post too. (I know.. I am typing words ... just to explain). 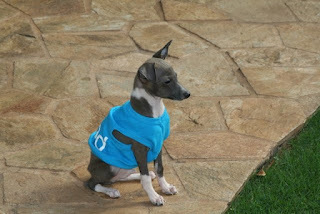 Here's a link about Italian Greyhound (click here), and you'll know why it works for me. Oh, if you would like to visit more Wordless Wednesday posts (the real Wordless ones:) - visit 5 Minutes For Moms. Aww, too cute. 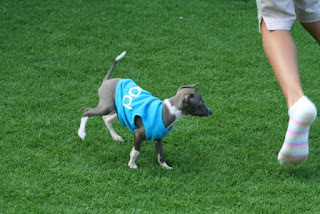 I had no idea there were mini greyhounds! you have to take a picture next to a spoon so people can see how tiny the (very expensive) little hamster-dog is!!! Him so cute. Hi. I own two Italian Greyhounds aka Iggies! They are awesome little dogs! www.ImNotAWhippet.com -chuck full of photos, links, info all about them. Come on over and check it out; by the way today is one of my boys birthday- he turns two today.